After creating the most popular article 2 years ago on Google Maps, I am getting lots of replies/suggestions in my mailbox every day. I have tried to give as much support as I can. During this process, I found that lots of people want me to write about Microsoft Map in the same way as I did for Google. While I search for Bing Maps API, I hardly find any links that provides good and precise knowledge on how to start working with it. Thus, I thought of creating this article for you so that all people who want to work with Microsoft Maps could be benefited. I have tried to make this most simple and easy to understand, but I would be excited to see your replies and suggestions. I agree that the article is very much inspired by MSDN as I don't have enough experience with Bing as such. My intention is to accumulate all the necessary items into a single thread. Microsoft Launches Bing Map services to provide online Mapping Services that enable the user to create custom maps and share information about a location in their own applications. Map service also provides superior API to search for location, Geocode Address of a specific location, Draw Custom Shapes on the map, interact with users, etc. In both the processes, when client requests the server, server gets the data from live.com and sends back to the client. Thus, the client always needs to be connected to the internet even if it is working in LAN to get online data from Live Servers. The web service API is a programmable SOAP services implemented using Windows Communication Foundation. You can make use of the library of classes generated automatically when you add reference to the web service. You can integrate the Web service to your web site or WPF windows client and get Imaginary Data when connected to Internet. This might seem to you most exciting. Let us make the most simple map in a web page. I am using just normal HTML code to make you understand better and to make this useful to all. Add the Doctype declaration at the top of the page. This is very useful as VEMap requires Transitional Dtd. Microsoft recommends use of UTF-8 charset for a web application which displays VEMap. Add a container which holds the imaginary data and draw the map. Preferably, use Div in this regard. The map will appear inside the div. VEMap(divelement): This will load the Map into a div element. The Id of the div element is passed to the Constructor. Latitude: Latitude of a single point in the globe. Longitude: Longitude of the single point in the globe. Altitude: It defines the Altitude of a point in the globe. This is optional, default value is 0. AltitudeMode: Altitudemode defines how the altitude is represented. Altitudemode can be VEAltitudeMode.Default, VEAltitudeMode.Absolute, VEAltitudeMode.RelativeToGround. This is optional and default Value is VEAltitudeMode.Default. AltitudeMode comes in very handy when working with Mode3D (discussed in later sections). Finally, we have called map.LoadMap(point, zoom, style, fixed, mode, showSwitch, tileBuffer). This will Load the map centering the specified VELatLong point. VELatLong: It represents the global point to which the map will be centered. Zoom: Represents the Zoom Level. The Range could be between 1 - 19. Default is 4. You can try them one by one. Each of them could be changed from the UI too. Mode: Specifies whether the map should be loaded in Mode2D or Mode3D mode. Default is 2D. Note: Mode3D requires the browser to install the proper plugin, otherwise the map will not be displayed properly. TileBuffer: Specifies how much tile buffer would be used to smoothen the map navigation. // Add a new pushpin to the center of the map. The pin will be added at the center of the map when it is called. map.GetCenter() returns an object of VELatLong which points to the center of the map. This is passed to LatLongToPixel(VeLatLong) to get the actual point VEPixel object. We need to pass this object to AddPushpin to get the pushpin added to the point. The Pushpin object returned can set Title using SetTitle and Description using SetDescription functions. You can see that I used HTML inside SetDescription and SetTitle. SetCustomIcon is used to change the default pin Icon. The SetMoreInfoUrl creates a ... which opens up a new window. Here, I have used VECustomIconSpecification class to define the Custom HTML of the icon. You can read more about VECustomIconSpecification here. We can add custom shapes over the map. We may use VEShape class to create custom Shapes over our map. Pushpin: Used to put a Pushpin to the Map. Polyline : Polylines are Freehand lines over the map. Polygon: They are bounded area between points. The above code will create a polyline over the map which traverses over the points specified. The HideIcon is important in this case, otherwise it will put an unnecessary Pushpin Icon on the start point of the polyline. The SetLineColor specifies the RGB color generated from VEColor. The SetFillColor (which is unnecessary for Polylines) specifies the color to fill the polyline and SetLineWidth specifies the width of the line drawn over map. This will produce a Polygon area with color filled within it. The code is exactly the same as Polylines. As we specified no color for SetFillColor, the enclosed area will be transparent. FindType: Currently, it supports only VEFindType.Businesses. So we set this as null. ShapeLayer: This represents the object of VEShapeLayer. We will discuss how to create layers in later sections. For the time being, we set this to null. showResults: A boolean value that specifies whether the results to be shown in the map. createResults: Creates a pushpin to the position on which What is specified. Ignores if what is null. useDefaultDisambiguation: Specifies whether a dialog box to appear if there is ambiguity in state, country, city, etc. setBestMapView: Automatically sets the best map view when search result is found. Callback: The callback which will be fired on successful search operation complete. Thus, if we call StartGeocoding("Kolkata"), it will put a pointer over the New York city. In the GeocodeCallback function, I have created a VEShape with a Pushpin on the best place result. If no result is found, the message box "Address not Found!!!" appears. We can create layers within the map. We use VEShapeLayer to create multiple layers over the map. This will enable us to group related information (such as drawings, PushPins, etc. ), so that it could be hidden and shown easily programmatically. Basically, it acts as a container for all types of Shapes. The process is simple. Create a class of VEShapeLayer, create objects of VEShape. Add the object of Shape in the object of Layer using AddShape method. Finally, after all the shapes are added to the Shape Layer, we add the Layer to the map using AddShapeLayer of VEMap object. We can use Show, Hide method of the Layer object to make the layer visible or invisible at times programmatically. You can also use GetShapeByIndex , GetShapeByID, DeleteShape, DeleteAllShapes of Layer object to manipulate after its been added to the Map. This code looks almost similar to the others, the only difference is, we added a new Layer using VEShapeLayer and added all the Shapes on the layer rather than adding them directly to the map. Additionally, I have shown how to create CustomPin using only HTML. You can use SetCustomIcon to generate custom pin for your map. The SetPhotoURL function will add an image on the Description pane. You may also use ClearInfoBoxStyle / SetInfoBoxStyle methods before drawing the custom infobox yourself. Shape using GeoRSS: You can use your GEORss feed to generate custom map layer. Shape using KML feeds: KML feeds can also be used easily to generate your Custom Shape Layer. VEDataType.VECollection: Specified if datasource is Live Scrachpad feed. I have used this resource to show the map. VEDataType.GeoRSS: Specified if the datasource is a link which corresponds to the GEORSS Feed. Here, georss could be of 3 types: georss:point, georss:polyline and georss:polygon. VEDataType.ImportXML: Specified if KML data is specified in datasource. Thus, we can see the map is successfully imported to the map in the image above. Event handling with Map is the most vital section of building a map. VEMap responds to various events, starting from Normal Keyboard events, it responds to drag and drop, mouse click, scroll wheel movements, etc. and also to custom Map events if attached. Working with events is very easy. You only need to write a callback function which will be called automatically when event is triggered. And then use AttachEvent to register the event. In the code above, I have added few event handlers called onclick, ondoubleclick, onmousedown ... each of which calls MouseHandler. Inside any mouseeventhandler, we get an implicit object e. We can use e.eventName to get which event generates the event. e.mapX, e.mapY represents the Co-ordinate point of the map where event generated. e.elementID gets the bound element (if any) which is within the area, e.zoomLevel defines the current Zoom of the map, etc. Here, we got the bound Polygon and fetch its Title and description to show you. To work with 3D mode, you need to install Virtual Earth 3D plugin. The 3D plugin will launch automatically whenever you click on 3D button of the main navigation menu. After installing the 3D plugin, you can also install 3D Model Creation software called 3dVIA. It allows you to create custom object directly over map which you can later export or import directly to your website very easily using ImportShapeLayerData. After successful installation, try creating your first 3D map. In order to work with 3D map, we need to change the map mode to 3D. Using the code VEMap.SetMapMode(VEMapMode.Mode3D) will load the map in 3D. The process of creating 3D map is almost similar to how we work in 2D. Let us suppose we take the example of Pushpin. We can set Altitude of the Pushpin using SetAltitude method. The above picture shows how the image gets changed using altitude. You can use 3DVIA to create custom 3D models to the Map. Go to bing.com/maps [^] , Move to 3D view and go to collections menu, then click “Open your collections” and then click on the house icon or right-click a location, then click “Add 3D model”. The above code will create a Custom Context Menu which has all the functionalities that a common map should have. You can also use Geocode feature address using the Textbox in the map above. VEMap control is easy to develop and a very handy tool to display maps. If you need any further help, feel free to comment. I would love to answer your queries. This is part 1 of the article. I would also be going further for WPF users and composing Part 2 of this topic very soon which will include the Web Service solution and also I will give an idea about how you can use Virtual Map earth in Windows application. Hope you will read that too. I would like to see your replies as well. Hope you like this topic. If not, just let me know to fix it so that the article could be enriched with your thoughts. Did you like his post? Oh, lets go a bit further to know him better. Visit his Website : www.abhisheksur.com to know more about Abhishek. 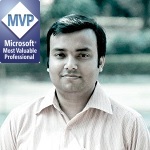 Abhishek also authored a book on .NET 4.5 Features and recommends you to read it, you will learn a lot from it. Basically he is from India, who loves to explore the .NET world. He loves to code and in his leisure you always find him talking about technical stuffs. Working as a VP product of APPSeCONNECT, an integration platform of future, he does all sort of innovation around the product. Have any problem? Write to him in his Forum. Want a Coder like him for your project?
" + fileName + "
Hy, I have a problem when use VEMaps with SharePoint 2010 portal Internet. The problem is "When a attach file in a list, that have data to display in maps VePushPin, ask me for credentials prompts!" Authentication Provider for the SharePoint web application is NTLM. from bingmapsportal SDK I coludn't. I have related query on regrding the display of user defined landmarks. This is dynamically list which changes as the map moves & also depend on the items selected in the landmark category. I thought of using spatial data services but i feel this is not the correct one because i don't want to batch geocode since i am already having gecode information of the landmarks. Can i use Geocode RSS feed to handle this requirement? A great article. Really helped a lot. I have got a question though. For WPF Windows Application can we use same map? Which map i should use for WPF windows application? i am using InfoStrat.VE Bing Maps 3D. but as becasue its 3D will not working in some OS. need latest graphic card. Also i want to use 2D map only. so if anything you suggest it would help me a lot. but your article really helps to get to the basics quickly, by consolidating it all in one place. I am glad that this helped you. Don't forget to click "Good Answer" if you like this Solution. Great work Abhishek. Keepit up. No such good articles on this topic in codeproject. Thanks for this nice article. I am also willing to put this forward with Web Service version of VEMap. I hope you will like that too. Thanks for your lovely work.